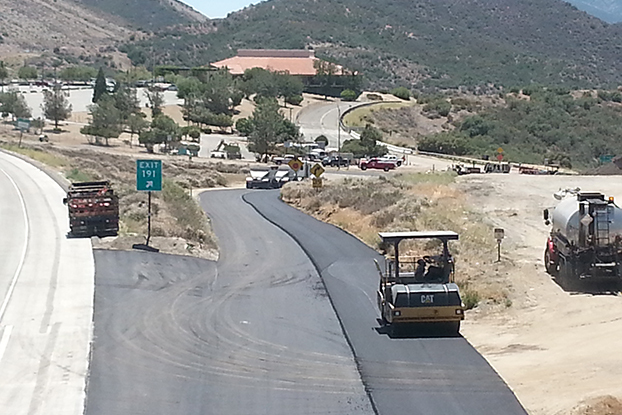 Griffith Company and its joint venture partner, Coffman Specialties, constructed this resurfacing and restoration project with the primary goal of extending the service life of the pavement structure. 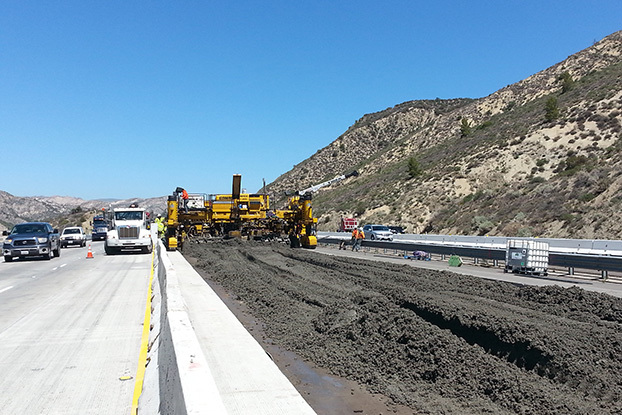 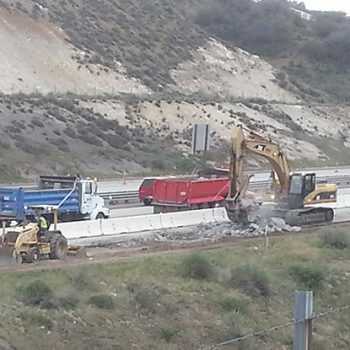 The project consisted of pavement rehabilitation for 16 miles in the northbound and southbound directions from south of Vista Del Lago Road to the Kern County Line near the Town of Lebec, CA. 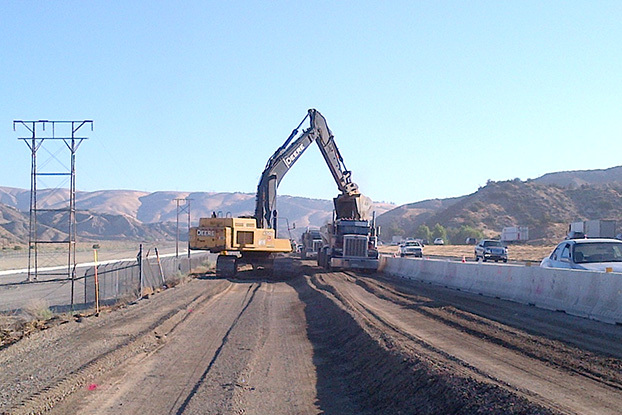 The scope included: replacement of existing concrete pavement in the two outside lanes; rehabilitation of the inside lanes by grinding and random panel replacement; reconstructing inside and outside shoulders; mill and overlay existing AC ramps, construct PCC ramp termini, and polyester concrete overlay of the bridge approaches. 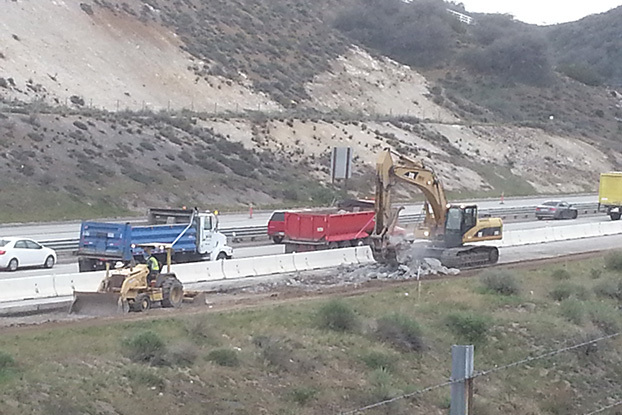 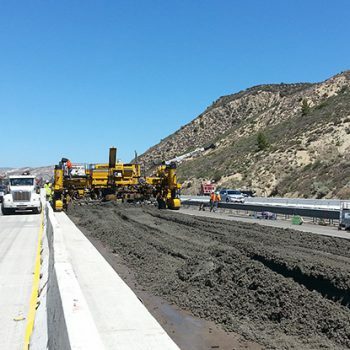 The work was constructed on I-5 over The Grapevine where high truck traffic volumes and heavy vehicular traffic coming in and out of the Los Angeles Basin made this project extremely challenging. 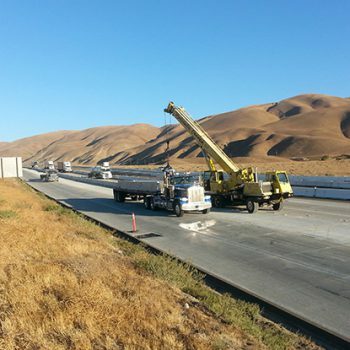 In addition, the project was bid with construction occurring in 8 segments and 36 stages with a 5-mile separation of work zones, making the project logistically challenging. 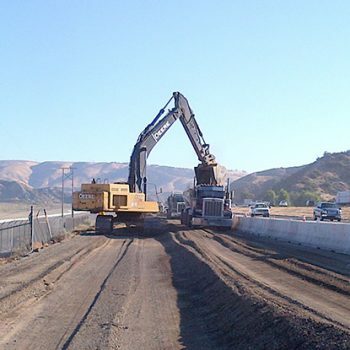 This required simultaneous construction in multiple segments and varying stages to support the construction schedule; all with a 5-mile separation between work zones. 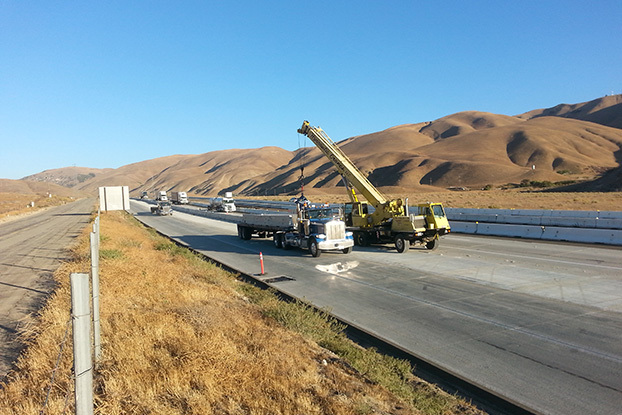 The project team developed new construction staging which was accepted by Caltrans and allowed combining stages and segments of the project. 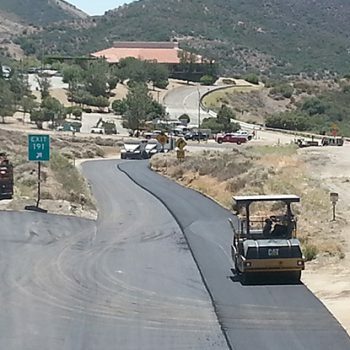 This value engineering change order allowed the project to be completed a year ahead of schedule and also minimized the impact to the traveling public.